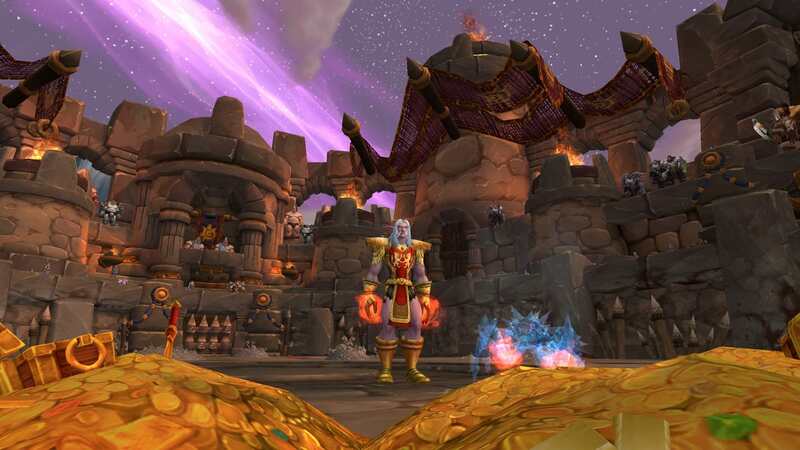 While it is safe to assume that I don’t find WoW as engaging as I used to, I still enjoy certain aspects of the game very much. Anyone who’s followed this blog over the years can probably guess what those things are. After a bit more testing, I’ve settled on this build and I’m enjoying it immensely for BGs. OK, so I really need to try Narrow Escape, but I’m having a hard time letting go of Posthaste. The CC removal (root and snare, anyway) + run speed buff is so useful in so many different situations. I’ve found that heals and caster DPS are just redonk since the patch, so I elected to drop the new Binding Shot for the tried and true Silencing Shot. This has helped me burn down casters a bit easier and keep those pesky healers under control, plus it’s free (costs zero focus). Although I did find it fun to play around with, Binding Shot just doesn’t feel as useful to me as Silencing Shot – for what I’m doing. It has a fairly long cooldown (45 seconds, as opposed to 20), the 5yd radius seems exceptionally limited in-game, it costs 20 focus, and I don’t like that it uses a target circle – especially since its range is a bit short. Personally, I’d prefer if it were a standard shot with a 40 yard range, with the offset being that it only affects one target. I feel it’d be more reliable this way, plus it’d be easier to cast while kiting. I still need to try Exhilaration and Aspect of the Iron Hawk, but Spirit Bond is right there with Posthaste, as one of the talents I’m pretty attached to. I switched from Dire Beast to Thrill of the Hunt yesterday and haven’t looked back. 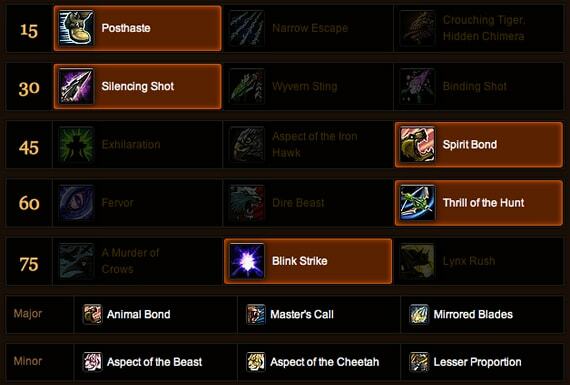 I can pretty much remain in Aspect of the Hawk – spamming Arcane and Kill Command all day long. The proc rate is just stupid, so I very seldom find myself focus starved. I also like that it’s a passive ability, which means one less button to push. That’s always a plus! Bestial Wrath + Blink Strike -and- Blink Strike + Intimidation are just too good. I am loving Blink Strike for PvP and doubt I’ll be removing it from my spell book. Here’s a screenshot showing my pet dropping over 90K on a target dummy in less than a second. An enraged Blink Strike crit will get an opponent’s attention. I dropped the Camouflage glyph in favor of Mirrored Blades. I like being able to move around while in stealth, but I think it’s something that’s probably more useful for arena. 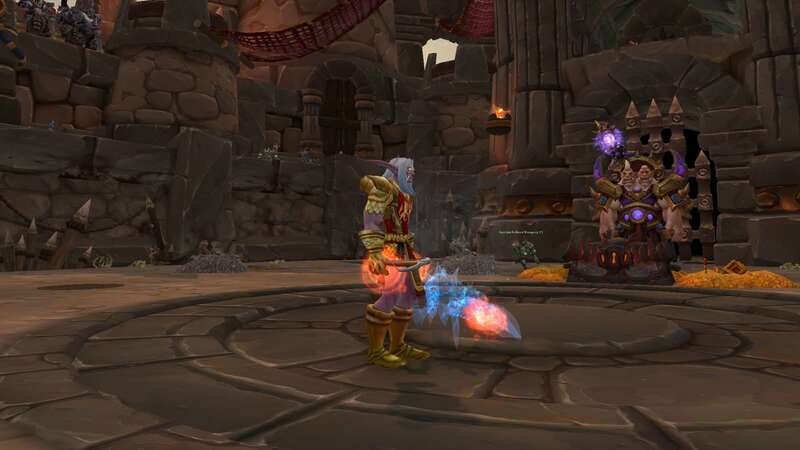 Mirrored Blades is great – especially if you monitor your enemy’s spell casts. It’s nice for throwing a CC or huge damage spell right back in a caster’s face. My other two major glyphs are still the same as before. Animal Bond for the small buff to healing -and- Master’s Call for double the freedom from roots and snares. Alright, so if you’re a BM Hunter struggling to have PvP success post-patch, apply some of the info from this post and see if it helps. Your mileage may vary, but I’ve found this setup to be very effective for me. 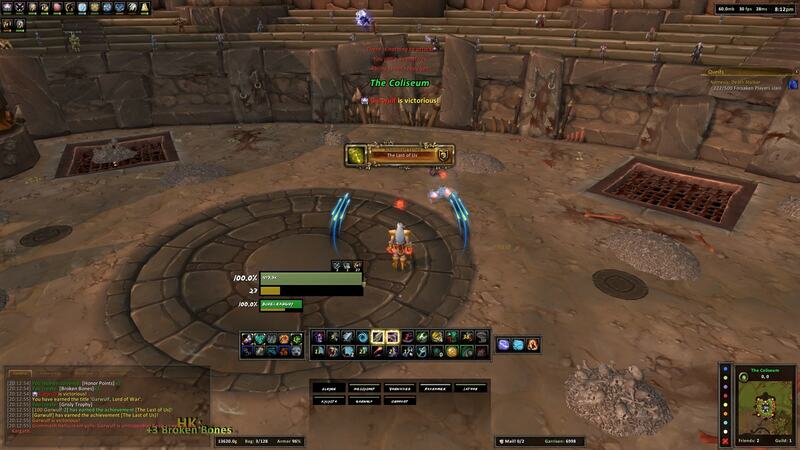 Alright, so today I was finally able to sit down and get myself acquainted with Patch 5.0.4. I’m still getting used to things, but overall, I’m having fun with the new hunter mechanics. I still miss my melee weapons, but not from a practical standpoint – that’s more of a sentimental thing. Being that I’m so programmed to try and maintain maximum range, the removal of the dead zone is taking some getting used to. It feels odd being able to use other shots besides Scatter Shot when enemies are right up on me. I keep having to remember I can shoot someone in the face with Arcane when they’re up in my grill. I’m definitely not complaining about this, however. I’ve specced Beast Mastery, of course. It feels very good in 5.0.4. Almost too good. Things aren’t exactly balanced right now, so I won’t be holding out thinking it will stay this way. One major benefit of having a class site like Huntsman’s Lodge is that I get so much great input from all of you. Your comments and discussion really prompt me to revisit a lot things, and in turn, influence change – making me a better player as a result. After reading some of the comments that were posted in my last BM PvP build post, I ended up trying out a new build. While not radically different, I do think it’s a better build (for BGs, anyway) than the one I posted last week. I’ve always been one to take a point in Improved Mend Pet. Having the ability to cleanse DoTs and CC from my pet has always been of huge importance to me. However, after reading through some of the comments in response to my posted build, I decided to drop the point just to see if I missed it. If I didn’t, then that would free up a precious talent point that I could use for more DPS, for example. Another talent I decided to give up was Survival Tactics. I really like this talent for the reduced Disengage cooldown, and to a lesser extent… the increased trap efficiency. Anyway, I elected to dump Survival Tactics to test if the shorter Disengage cooldown would really be missed and to see just how much more often my traps would fail as a result of losing this talent. Were I a highly competitive arena hunter, I feel that Survival Tactics would be a staple talent. A failed Freezing Trap could make the difference between a victory or a loss, where as in battlegrounds, you can afford to have a small margin of error with traps. Survival Tactics shaves 4 seconds off the cooldown of Disengage, plus it cancels out the inherent 4% “miss rate” hunters have with traps. Even with capped Spell Penetration, traps have a 4% chance to miss, i.e., a 1 in 25 chance to “not hit”, rather than be resisted. At any rate… I decided to see if giving up that 4% bonus would actually be that noticeable. The result…not really. I’ve yet to be in a situation where a failed trap has been a game changer, nor have I really noticed my traps missing all that often. As for the 4 second longer cooldown on Disengage…that hasn’t been a problem either. Without the point in Improved Mend Pet and the other two points in Survival Tactics, I then had 3 extra talent points to spend elsewhere. So where to put them..?